Jimmy Huynh comes home after working at his restaurant, Shotos Japanese Steakhouse & Seafood, to spend time painting board game pieces in the evenings. The pieces are for a game known as, “Warhammer: Age of Sigmar”. Huynh and friends all played an earlier rendition of Warhammer during their childhood, while attending high school; saving allowances and finding jobs to help with the fund to acquire more game pieces. Huynh could not quite afford the hobby at an early age, but now revisits it nearly twenty years later. He believes painting has taught him to be a more patient person. 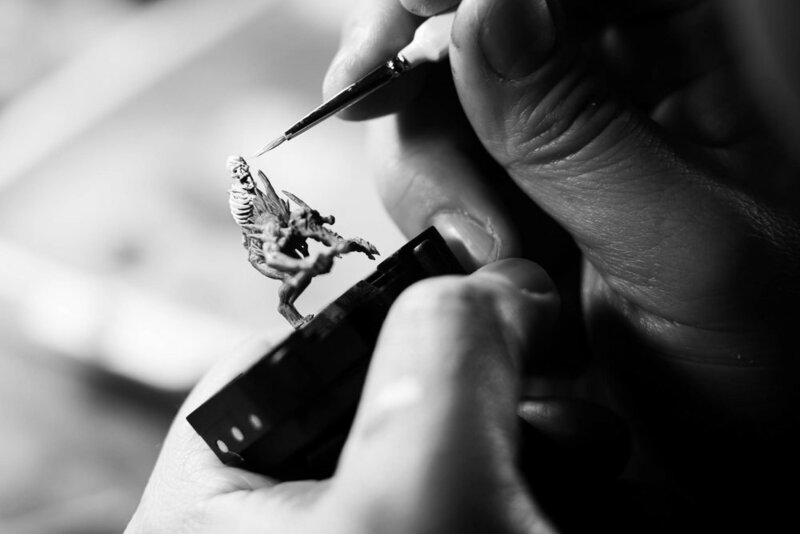 Though Huynh has not yet found individuals who share his passion in painting miniatures locally, he is still involved in many communities online where they help critic completed pieces and share advice to further this hobby.